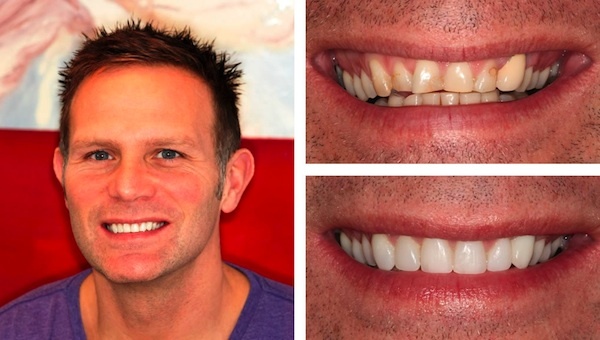 In as little as an hour your smile could be transformed with tooth bonding for those individuals with little imperfections, cracks and chips in their teeth bonding could be the ideal solution. Tooth bonding is a cosmetic treatment used to enhance the appearance of teeth. It is often used to improve the aesthetics of chipped and worn teeth. Treatment involves the application of a composite filling (white filling) to the tooth in order to improve its appearance. Bonding will repair chipped, broken and discoloured teeth and can also be used to treat tooth decay. The process can be done in a single, painless session. In most cases, there is no need for anaesthetic and the results are instantly visible. Bonding is one of the most affordable, simple and effective cosmetic dental procedures. Your dentist will select a shade of composite that matches your natural tooth colour. The tooth is etched and covered with a conditioning liquid before applying the bonding material to help the resin adhere to the tooth surface. Your dentist will then attach the composite to the affected area of the tooth and shape it into the correct shape. The composite is hardened using a powerful UV light and trimmed for a perfect finish. The bonding process is usually complete within one hour and no recovery time is required. The treatment is most commonly used to repair chipped teeth, but it can also close tooth gaps and cover areas of discolouration. Composite is not as strong as natural teeth and you may need to repeat the bonding treatment after a few years. It is best to avoid using the affected tooth to chew or bite hard foods.